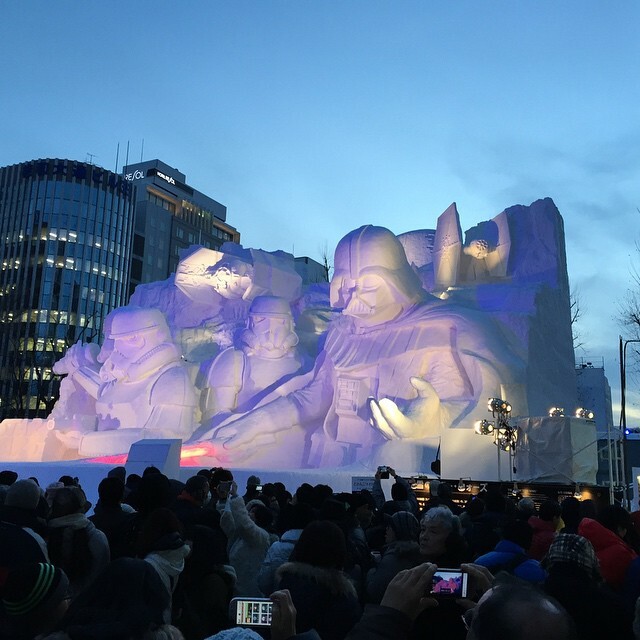 The Sapporo Snow Festival is known for attracting more than 2 million visitors every year. 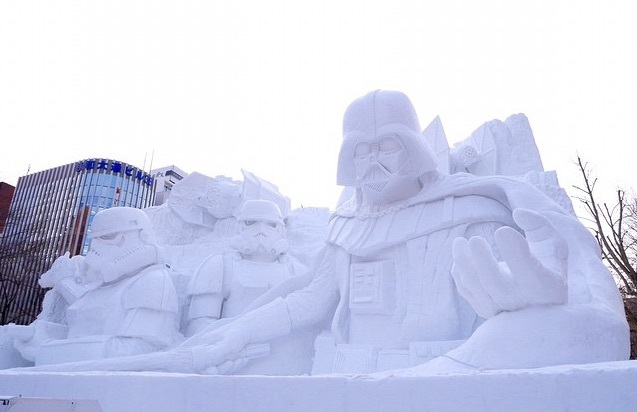 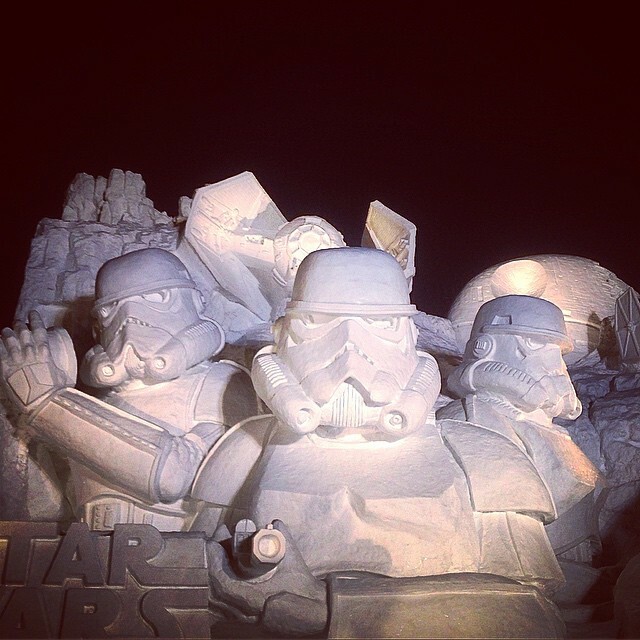 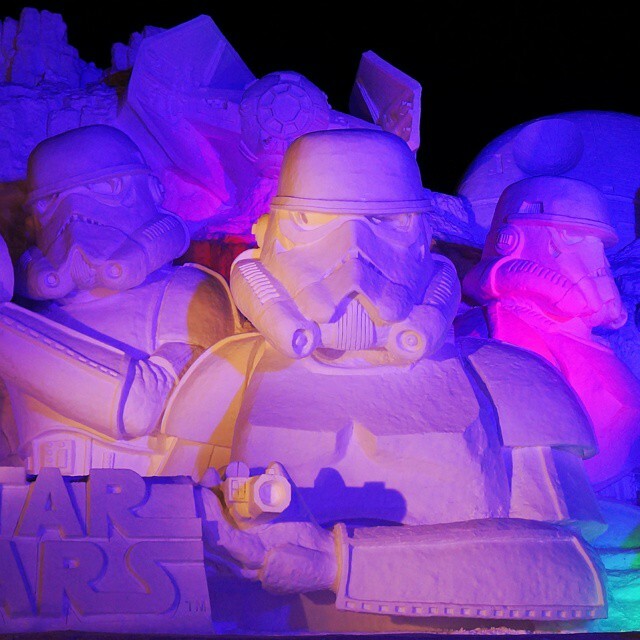 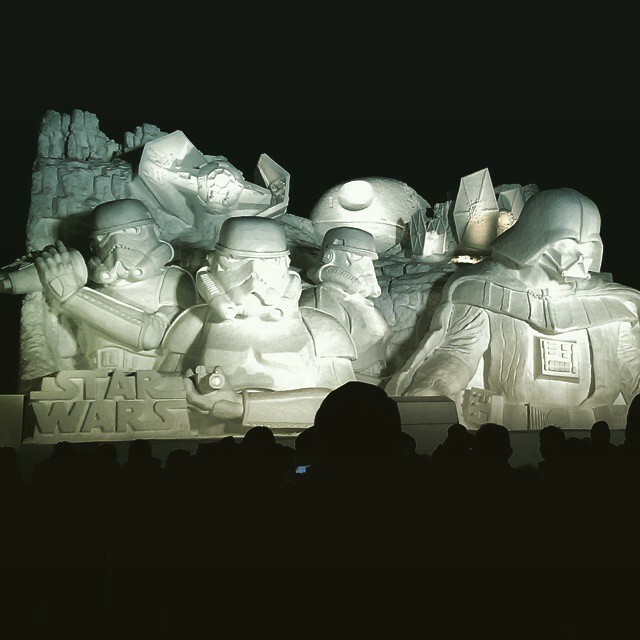 And, this time around the annual event kick started its grand proceedings by showcasing these mammoth ice sculptures inspired by the one-and-only Star Wars universe. 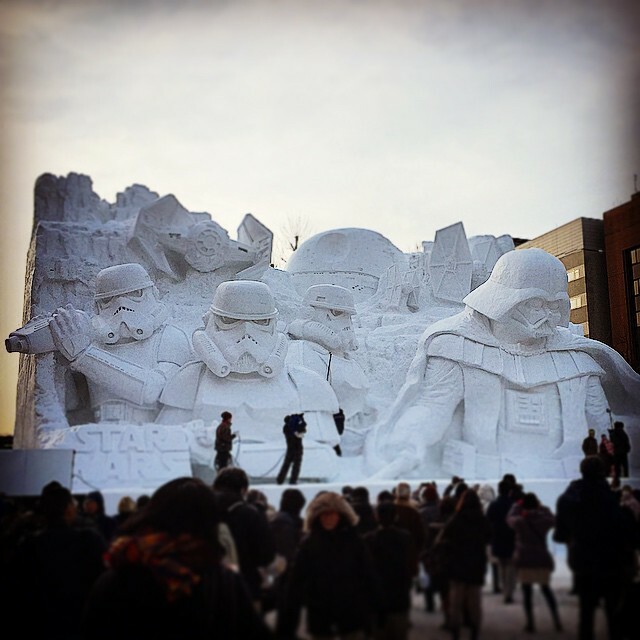 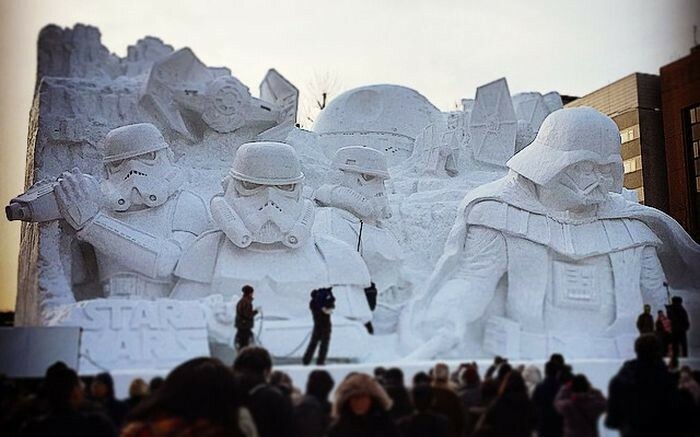 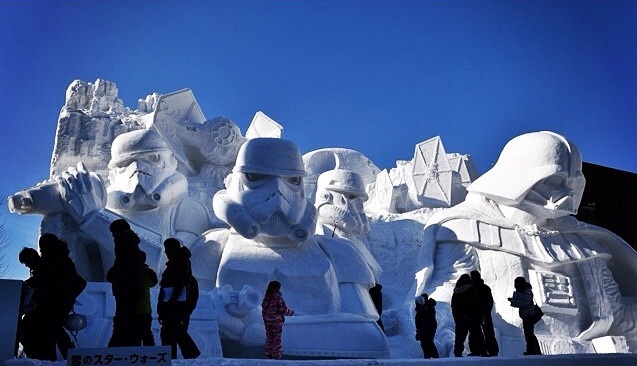 Created by 11th Brigade of the Ground Self-Defense Forces of the Japanese Army, the entire array of sculptures (comprising of Darth Vader, Storm Troopers and the Death Star) boasts of 23 m (76 ft) width and 15 m (49 ft) height. 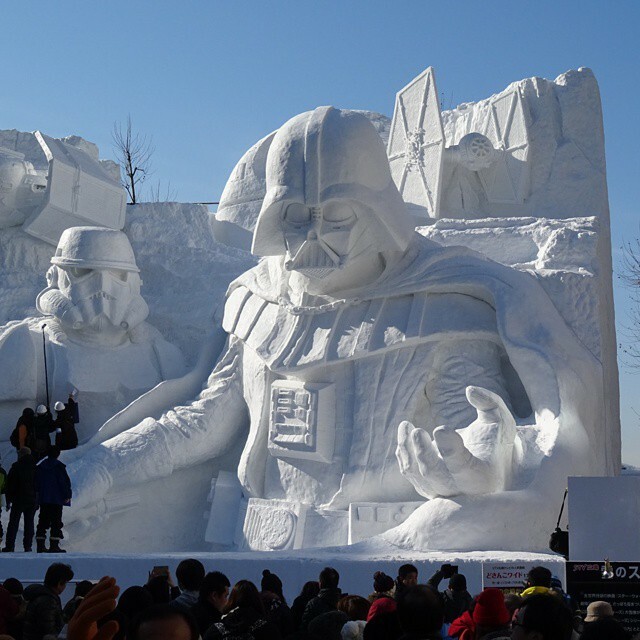 This gargantuan volume with immaculate precision was created by displacing at least 3,500 tons of snow mass.